For those who may be interested - Espers has been officially remastered and re-released on Dope Records for the digital price of $8. You can find the Bandcamp link here. If you're wondering why it's being released again just 18 months after I first made this post - the truth is that it wasn't fully released in the first place. When I made this post, it was going to be released through Aardvark Records back in March 2010, we took steps to get it out there... and then it was just quit halfway through. For a variety of reasons, none of which were bad-blooded but detrimental to release all the same, the previous label was unable to fulfill their contract to me, so I found a new label, the IDM and experimental Dope Records in Israel and today it gets a fully label-supported, full release. This version sports new artwork by Fariz Suleiman and new mastering by Russian Composer and IDM/Industrial artist Tokee. Zircon's previous and miraculous work still exists here, we just gave it an update for better volume, bass presence and clarity. Espers is a loose concept album that I started April of 2009 just to get something done. Most of what I had were ambient/new-age instruments and samples, so I went along with that and worked endlessly to try to make one of the most unusual and unique ambient/new-age albums around. It was an extremely difficult production, but it was totally worth every step of it. I was inspired by a lot of Peter Gabriel, Metroid Prime, Chrono Cross and Steve Hackett and I about destroyed my computer trying to honor those influences. * All tracks composed by Meteo Xavier. * Piano Performance and re-interpretation by Michael Huang of www.sonic-expression.com. * Post-mixing work and initial master by Andrew Aversa of www.zirconmusic.com. * Final master by Anatoly Grinberg (Tokee). * Computer and samples provided by Brad Burr. * Artwork and digital sleeve design by Fariz Suleiman of http://doperec.com. And let me know if I forgot to thank anyone. Credit goes where credit is due. Please support this album not for my sake, but for Dope Records. 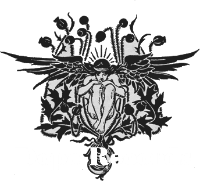 After 4-5 years of insanity and hardship from a variety of other music people, game companies, commissioners, and so forth, the guys at Dope Records are my karmic reward for enduring all of it. These guys have been nothing short of fantastic and supportive to me from day 1 of meeting them and I humbly ask this community to share some support back.